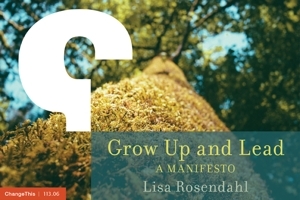 Lisa Rosendahl — Who Gets an Invitation? I have been thinking lately about how widely I should share my blog with people I work with, wondering who I should invite to the conversation. I have shared my blog with some family and friends, with the president of the local HR chapter in town and with select colleagues. I set up the "pings" and include my website with my posts to other blogs. I want to share my thoughts. I started this blog mostly because Kim suggested it but also because I saw this as a way to work through issues, to offer insight and to learn. I am so much a processor of information that my husband once told me (with lots of love) that I could be intellectually dimmer. As a processor, this blog has provided me with an awesome opportunity to do just that - process. I have to admit I check my traffic log daily to see how many visitors came to my site and how many have subscribed to my journal. I love it when the numbers increase. While part of me wants to know who you are and where you come from, there is another part that does not want to know too much more. If I do, I fear that I will begin to write to a specific audience vs. using the space to sort through my issues. I lead from my gut more than I care to admit sometimes. Right now, the time just does not feel right for me to invite my staff to the conversation. When it is, I will follow the lead of my friend Kim in her recent post Agenda Item #4.